YEREVAN. 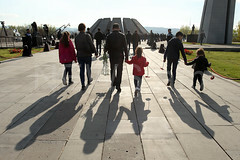 – The legal defenders of Armenia’s ex-MP and Yerkrapah (Defender of the Land) Volunteer Union Board ex-Chairman, retired General Manvel Grigoryan, have petitioned to the European Court of Human Rights (ECHR), and in connection with the illnesses of their client. Levon Baghdasaryan, one of Grigoryan’s attorneys, told about the aforesaid to Armenian News-NEWS.am. 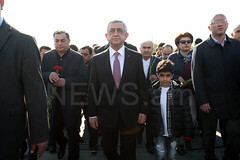 Baghdasaryan recalled that they had repeatedly voiced about Manvel Grigoryan’s health condition, but the local Armenian instances did not process their respective concerns, and this is why they had petitioned to the ECHR. The preliminary investigation on the criminal case brought against Grigoryan is over. He is charged with illegal possession of arms, tax evasion, embezzlement and appropriation of the budget funds, and organizing property theft by extortion. Manvel Grigoryan is remanded in custody. And on March 15, his custody term was extended for two more months.